Let your touch phone become a fun pad and play this exciting Air Hockey game! 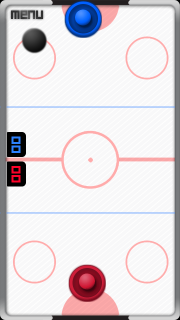 Drag your finger or pen to move the mallet and hit the puck straight into the opponents goal. Play Air Hockey Challenge and have hours of fun!